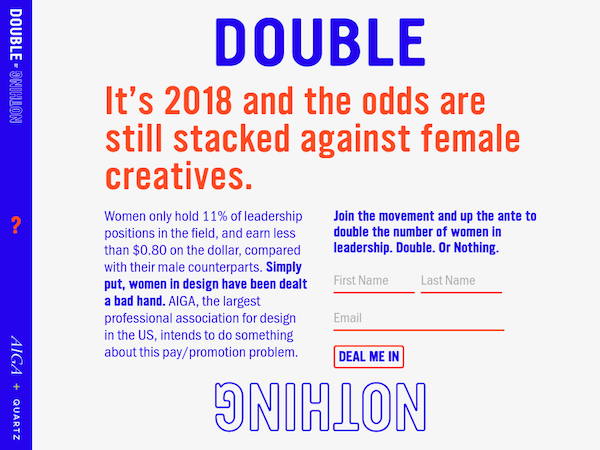 The American Institute of Graphic Arts (AIGA)—the largest and longest-standing design association in the US—has launched ‘Double or Nothing’, a bold project that aims to double the number of women leaders in the design industry and counter the gender pay gap. Led by AIGA’s ‘Women Lead Initiative’, the movement sees head honchos from Pentagram, Blue State Digital, Decker Design, Lippincott, IBM, and Quartz step up to combat gender biasness in design. The website will continually load content such as toolkits, career advice, and inspiring tidbits of women who have excelled in the industry. According to the association, 53.5% of the industry are females, but only four to 11% have leadership roles. Pentagram conceptualized the campaign’s name, brand identity, voice and web design. “We’re working to empower women to have a stronger path toward getting what they want and deserve,” expressed Pentagram Partner Emily Oberman. IBM will establish a set of best practices and “tangible commitments” to encourage companies to spur progress for female creatives. “IBM has a commitment to diversity and equality in all of our practices and we’re thrilled to be a launch partner with AIGA in this important initiative,” addressed Doug Powell, Distinguished Designer at IBM. 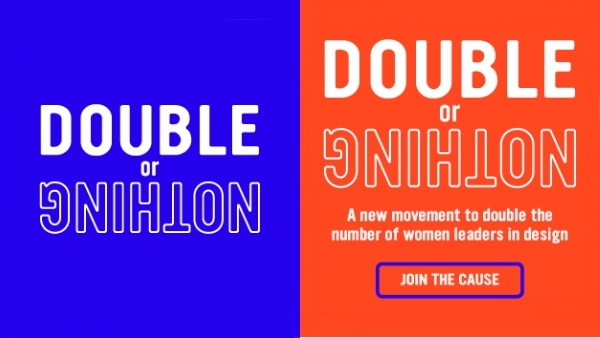 You can pledge for female empowerment in design over at the ‘Double or Nothing’ website.